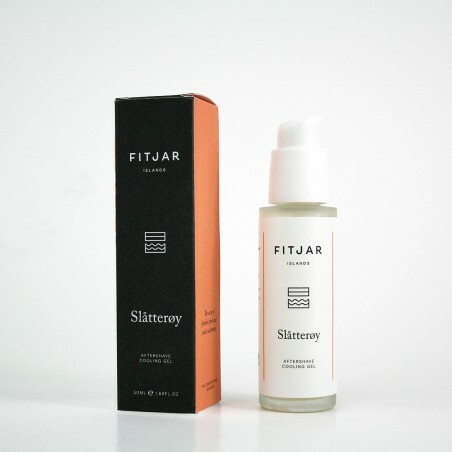 Fitjar Slatteroy After Shave Cooling Gel 50ml handmade in Norway with natural products, without paraben or preservatives. Exotic woody spices with spicy citrus notes. A memory from seamen who used to come back from Orient bringing back mysterious presents. Gives a fragrant, gently cooling refreshment after shaving. Custom made for the man who prefers a cooling aftershave with a conspicuous, yet light scent. Its fast absorption gel texture does not leave a feeling of greasy skin and is ideal if you want a lighter aftershave alternative in warm weather. An excellent choice for men with any skin type, especially normal to slightly oily skin types.